3 Middle Grade Titles to Know! It is quite rare that I read 3 middle grade chapter books in a row, and love all 3 of them. But that is most definitely the case with the three books I'm reviewing today. Point of view - two of the books are told from a different character's point of view, shifting the point of view frequently. The third one (Nine, Ten: A September 11 Story) shifts between characters, but the character is not the narrator, as in the other two. #WNDB - each of these books will provide a "mirror" for many students in our classrooms. In each book, diverse characters are the focus. 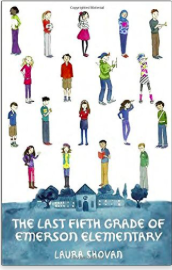 Great stories for grades 4 - middle school (in my humble opinion). I love these kinds of books that involve the transition from one level to the next. That plot feature alone could be explored forever, but in these books, it is the perfect backdrop. 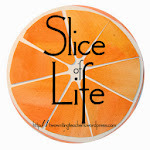 So, what are the books I'm loving right now? 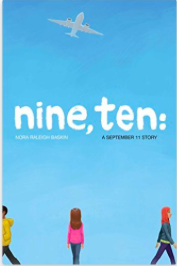 Nine, Ten is a story about four different characters living in four different places. Naheed is in Columbus, Ohio; Sergio lives in Brooklyn, NY; Will lives in Shanksville, PA; and Aimee is in Los Angeles, CA. Their stories begin on September 9, each working on a transition of their own when their lives overlap at Chicago's O'Hare Airport. Will's father has died, Aimee has moved to California because her mom has taken a new job that involves her being all the way across the country during the move, Sergio's dad disappoints him once again, and Naheed is trying to embrace her Islamic heritage in midwest Ohio. Already knowing that 9/11 is coming, I found myself racing through the book to find out the effects this tragic day had on each of these characters. Baskin does a brilliant job of making each child's story matter, and I love how, much like in the beginning where lives intersect at O'Hare, the ending find these 4 lives intersecting once again. The Last Fifth Grade of Emerson Elementary has eighteen very diverse characters/narrators, and one fabulous teacher who really makes a difference. For their entire fifth grade year, these characters write poems about their thoughts and feelings. Through these poems, the reader learns so much about each character, and how they evolved over the course of the year. This is a story about friendships and how they change. It is a story about finding a passion and becoming an advocate for that thing. It is a story about finding your voice. It is a story that embraces poetry on each and every page. It is a story about transitions and dealing with them. Shovan has added to the back of the book some great reference materials for all readers - the first is a list of the types of poems found in the story - both descriptions and the pages to find examples. The other thing I love was that the teacher in this story kept a "Poetry Prompt Jar" in the class if needed - some of those prompts are found in the back as a resource. I could see this being incredibly helpful when working on stamina with students throughout the year. fifth grade at a new school. And in addition to all of this, I LOVE the front cover illustration!!! 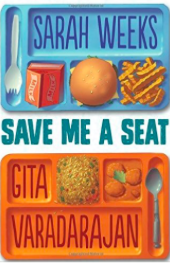 Save Me a Seat is a two author collaboration that again is told from different points of view - this time only two characters. Ravi and his family are new to America; he excelled at many things in India, and is having difficulty with the transition to his new school and having people understand his gifts. Joe is a big guy, bigger than most in his grade, and he has an auditory processing disorder - outside noises interfere with his ability to understand things being said. He gets support from Miss Frost this year. But in addition to feeling different from others, his mom is now working at his school as the lunchroom monitor. It adds another layer to the teasing he gets already. This is a story of two boys who learn to embrace and celebrate who they are; it is a story of growing up, and some of the hardships and joys that go with that process. And another brilliant cover design that makes more sense after reading the book.